An art picnic table in Inwood Hill Park, NYC. I’m always interested in artwork that references tools or functional objects. 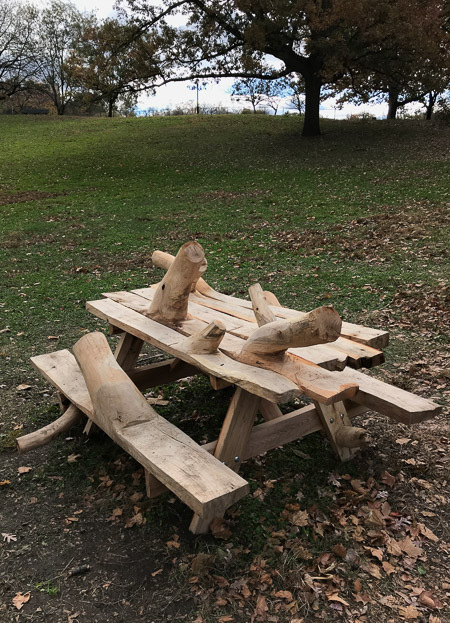 This artwork is located in Inwood Hill Park, NYC , and interrogates a common functional object, the wooden picnic table with attached bench seats. An all too common approach when creating an artwork referencing a functional object is to do one of two things; somehow make the object non-functional, or make a replica of the object out of a material that cannot function (such as making a wrench out of clay). 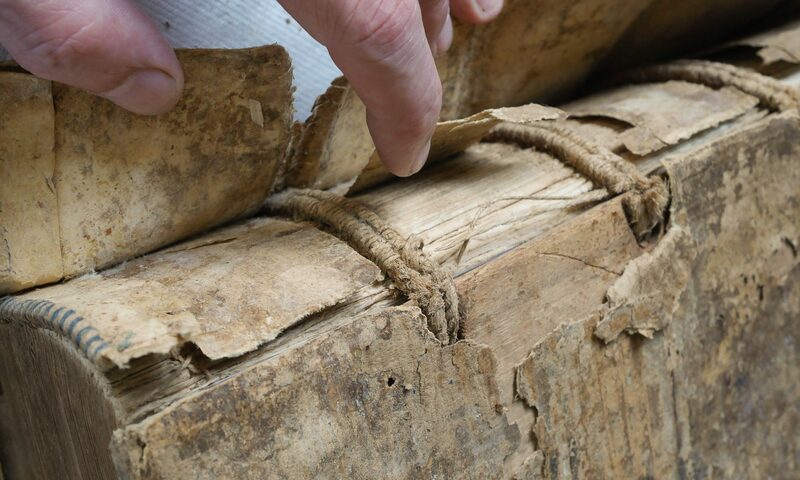 Here, however, the artist considers the history of the wood, so instead knots left in the wood, the branches are left on. The result looks quite tortured, much like the making of this object must have been. It reminds me of W.S. Merwin’s poem, “Unchopping a Tree”. Some of my other posts on tools and art. There was an interesting tree sculpture in Fort Tryon Park (the lower bit near Broadway and Nagle Avenue) recently. It basically mimicked a tree with its branches by chopping the top of the trunk into lots of different pieces. Whether it had served its time or was vandalized I can’t say, but it ended up as a pile of chips. I expect you saw that too. Yes, I remember that one, since I live on Nagle and walk in the park most days. The label on it stated it was intended to be temporary, and the chips composted. But it seemed like it was glued together. Humm.